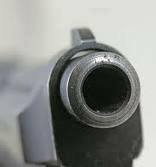 Welcome to the latest instalment in Crime Watch's ongoing series of author interviews; 9mm - 9 MurderMystery questions put to a variety of New Zealand and international crime, thriller, and mystery authors. Today I thought I would share my recent 9mm interview with legendary British crime writer Val McDermid, one of the international superstars who have visited New Zealand over the past month. You can read about McDermid’s visit to the Women’s Bookshop in Auckland here, and Vanda Symon reported on her meeting with McDermid in Dunedin, here. Given her status within the industry, McDermid is one of those authors I probably don’t really have to ‘intro’, so rather than repeating things, I’ll just note that you can read more about McDermid in my large feature on her for the Weekend Herald here, and at her own website here. Her latest novel is TRICK OF THE DARK, a standalone (unless as she says, she gets another great idea for one of the characters involved) that I really enjoyed when I read it recently. But for now, Val McDermid stares down the barrel of 9mm. Oh, that’s a tough one. Um, oh God... probably VI Warshawski... I like the way that she doesn’t stay still over the years, she’s kind of developed. She’s changed with the times, but she also carries the weight of her past with her. It’s not like she has a case and then walks away from it like nothing happened. Her core personality, her tenacity I suppose, and her bloody-mindedness, appealed to me a lot because I kind of see a lot of that in myself. I think probably the Wind in the Willows. I can remember my Mum reading it to me when I was very little, but I also remember when I was about six I had measles, and they do that thing when you’ve got measles that you’ve got to stay in a darkened room, so I couldn’t read by myself, and I remember my Mum reading it to me again when I was about six, and I had measles. And it was like my lifeline to sanity I think, having something to occupy my mind because I couldn’t read myself. The first thing I properly tried to write when I was a teenager, was song lyrics. Trying to write songs, then I graduated on to poetry, and I realised that poetry was far too much like hard work. Singer-songwriter-y [songs]... my heroes at the time were Joni Mitchell and Leonard Cohen, so you can guess the kind of things that I was trying to write. Cheerful (laughing). Anthems to doomed youth. Well, I’ve got a nine-year-old, so a certain amount of my life is spent running around watching him, watching golf and watching music performances. What I like to do is just hang with my family, and I love to walk on the beach where I live in Northumberland. I just love to walk on the beach with the dog. And that I think is just the most fantastic activity, because the beach is different every day. Our beach is an estuary where the river comes onto the beach, and every day the shape of the beach is different, the sea is different, there are no two days the same on that beach, and I just love the constant variety of it, I love the feel of walking by water. So I do that with the dog, and I play computer games - I play World of Warcraft online, I like ‘god’ games like Civilisation and things like that, and I read. If you’ve up here in Northumberland the one thing you should do is definitely walk on the beach first thing in the morning. You should probably go to a pub quiz. Our village has five pubs and three of them have a pub quiz, so you can actually pub quiz three nights a week, and they’re great fun, they’re really social occasions. Well I’ve always said that obviously it should be Sigourney Weaver, because of the close physical resemblance. We’re like twins separated at birth. It’s a hard question, because it’s a bit like asking which is your favourite kid, if you have a big family. 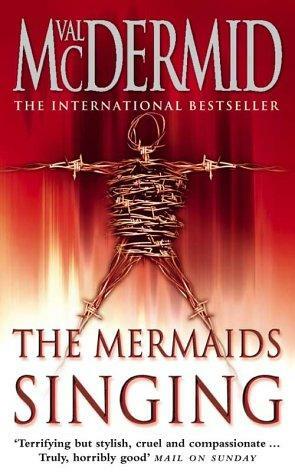 But probably I would have to say THE MERMAID SINGING, because it was so different to anything I’d ever written before, and because it was so successful it gave me a bedrock confidence that I would be able to find a way to tell whatever story was banging at the door of my head. I’d never written a book like that before - but it was the fact that I found the way to tell that story that gave me a confidence, so now when I’m struggling with a book I kind of cast my mind back to that and say to myself, ‘you can do it, you can find the way back to this book from somewhere, you can find the voice, you can find the structure’. So that kind of became a touchstone for me. I think a lot of people miss out on it, because they think because of the TV series being called Wire in the Blood, they think WIRE IN THE BLOOD is the first book. I was just excited. I remember I couldn’t quite believe it when I got the letter from the Women’s Press saying they wanted to publish it, you know. I remember that just being extraordinary. And it took a long time from there to publication, because for various reasons I worked with five different editors, because people kept going off on maternity leave, or on long-term sick leave, and things like this. So I went through five different editorial hands, and every time it was like I had to start from ground zero. So there were times in the process when I thought it was never going to happen. And I have to say, and this is a bit weird really, but for me the publication of the book is actually a very sad memory because my Dad actually died 10 days before the book came out, so he never actually held the finished book in his hands. He knew it was coming, and he’d seen the jacket and all that, but he never actually saw the book. And so, for me my memories of the book coming out are just these terrible memories of my Dad dying very suddenly. So there was no joy ultimately when the book came out. It was later that I suppose I celebrated, but at the time I felt numb, I felt nothing. Oh God, there’ve been so many. That’s a hard one. I had my first primary school teacher turn up to one of my events, and the bizarre thing about it was that it turned out she was living in a flat in an estate owned by the friend that I was actually staying with. She was my friend’s tenant, just bizarre. Thank you Val McDermid. We really appreciate you taking the time to talk with Crime Watch. So what do you think of this 9mm interview? Have you read any of Val McDermid’s books? The Tony Hill/Carol Jordan series? Her acclaimed standalones like PLACE OF EXECUTION, A DARKER DOMAIN, and TRICK OF THE DARK? Could you imagine yourself going up against her in a pub quiz? Thoughts and comments welcome. I love all her books. I'm currently reading Fever of the Bone and love it! I own all her Tony Hill Books... hmm, and some stand alones. Craig - Thanks for this wonderful interview! I love Val McDermid's sense of humour, and it comes through here. And I like Joni Mitchell, too... Thanks for giving us an inside look at a great writer. Smashing. Val is a gem. I'll have to hunt down The Mermaids Singing. I like hearing what authors have to say about their favourite work.